Ysgol Melyd is a County Primary School in Meliden, North Wales, catering for children aged 4 – 11 years, including a Nursery Class. We currently have approximately 143 pupils on roll. We have 2 Nursery classes, attending either in the morning or afternoon. 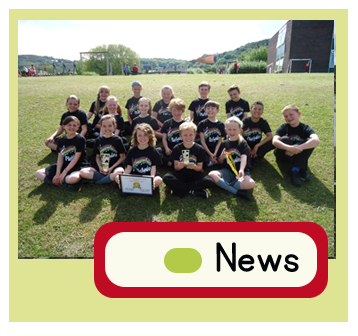 Foundation Phase pupils are in two classes, Class 1 (Reception/ Year 1) and Class 2 (Year 1 and 2). In KS2 pupils are in mixed year classes, Class 3 (Year 3 and 4), Class 4 (Year 4 and 5), Class 5 (Year 6). Through our website, we hope to provide you with up-to-date information about our school, the curriculum and our achievements, along with news about what each class has been learning about throughout the year. Follow the drop down bars above to visit the areas of our website. We hope you enjoy your visit. It is important that your child attends school on time, every day. Children who are absent will miss important learning time, and any children who arrive late in school disrupt the learning both for themselves and their classmates. At Ysgol Melyd, we continually monitor attendance. Our attendance percentage last year was 94.5%. We are confident that this year with your support and by working together, we can achieve our target attendance percentage of 96%. To keep you informed of our progress we will post our current percentage on our home page each week. All the latest newsletters, information and consent forms sent home to parents/ guardians are posted on our letters to parents page. Follow the link now for information about our forthcoming Parents Evening on Wednesday November 21st. We have to inform you that from September 2018, Denbighshire County Council have a new policy where school meals must be paid for in advance. Meals cost £2.20 per day or £11.00 for the week. At Ysgol Melyd we recognise the importance of good attendance and have a target of 96% for this academic year. Our attendance last year was 94.7%. Please try to ensure children are in school unless absolutely necessary. 05.11.18 - School opens. 21.12.18 - School closes, Christmas Holidays. 07.01.19 - Staff Training Day. 08.01.19 - School opens. Full details of term dates for 2018/2019 can be found on our dates page. As a school, we are committed to healthy eating and work hard to promote the health and welfare of pupils. Our school cook works extremely hard every day to ensure that pupils and staff have good quality, nutritious and tasty food which is value for money. Dinner money should be paid in advance on a Monday, cost £2.20 a day or £11 for the week. For more information about this and free school meals see the school meals page on our website. 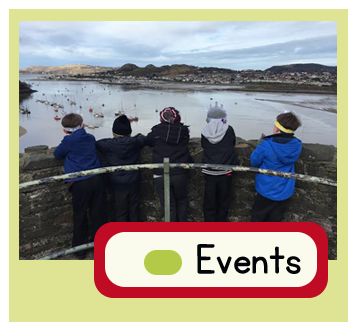 Information about dates and events in school will be posted on Class Dojos. Parents and Guardians are advised to check the whole school and individual class pages regularly to keep up-to-date.